Lighten and tone in one step. 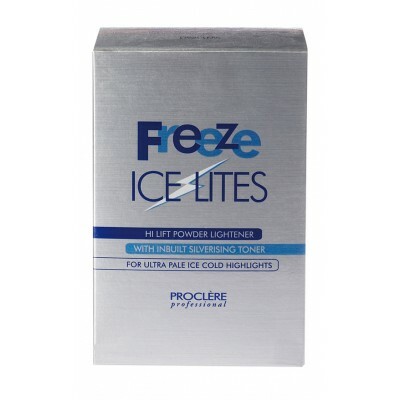 Freeze Ice Lites Hi Lift Powder Lightener is an advanced dust free powder that eradicates any unwanted yellow residue. This revolutionary product offers an unsurpassed nine levels of lift and ultra pale platinum highlights . 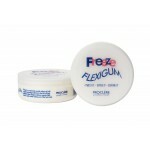 Product Info For professional use only, should only be used and applied by a professionally qualified person. A unique blend of advanced dust free powder bleach and inbuilt silverising toner that subdues any unwanted yellow residue and delivers ultra pale, ice cold blonde results every time. Comes in individual 50g sachet or 400g box. Product Tips The gentle dust free formula mixes to a rich creamy consistency which will not swell drip or dry out making it ideal for special effects and highlights whilst maintaining hair in excellent condition.